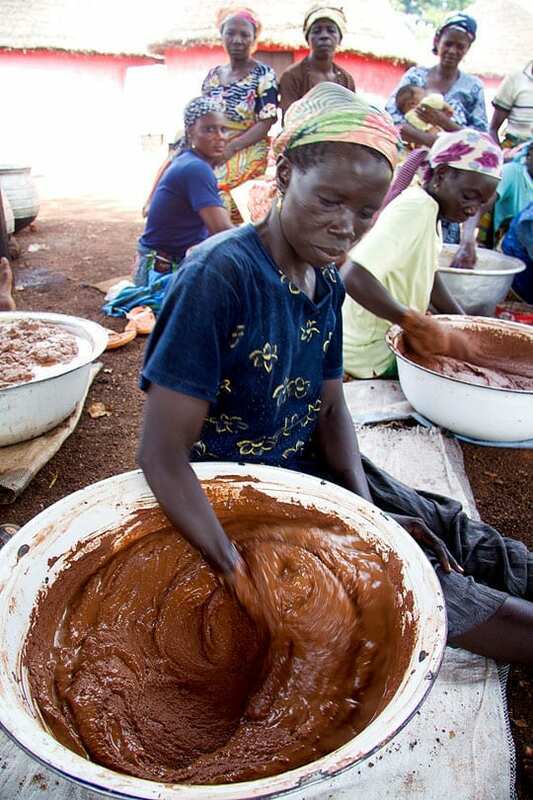 TechnoServe is providing business and technical training to 1,000 rural women who depend on shea for their livelihoods. Marimatu Mahama (center) and other members of the Nyebu Be Yoona cooperative make shea butter in the village of Kanfiehiyili in northern Ghana. TechnoServe is providing business and technical training to 1,000 rural women who depend on shea for their livelihoods. By improving the quality of their product, strengthening their businesses and connecting to new buyers, these women are growing their incomes and building a better life for their families. Your support makes work like this possible. Make a gift to TechnoServe and know that you’re helping poor people in the developing world take their future into their own hands.